HYH 1/3 in. Thickness Electroplated Glass Mosaic Tile, boutique selection of glass mosaic with electroplated processing. Absolutely elegant and contemporary profile. Our unique featured products you may never see. 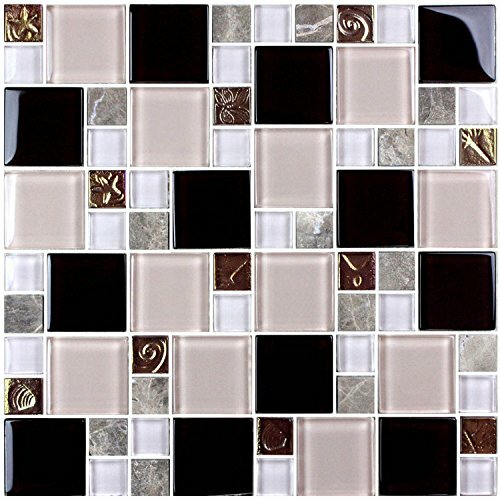 Creates a new era on glass mosaics with its unbeatable price. - Item Length/Piece: 12 In. - Item Width/Piece: 12 In. - Item Height/Piece: 1/3 In. - Item Weight/Piece: 3.35 Lbs. If you have any questions about this product by HYH, contact us by completing and submitting the form below. If you are looking for a specif part number, please include it with your message.